One of New Brunswick's largest producers of wood pellets plans to double production and cut back on exports to address what's been described as a severe shortage. 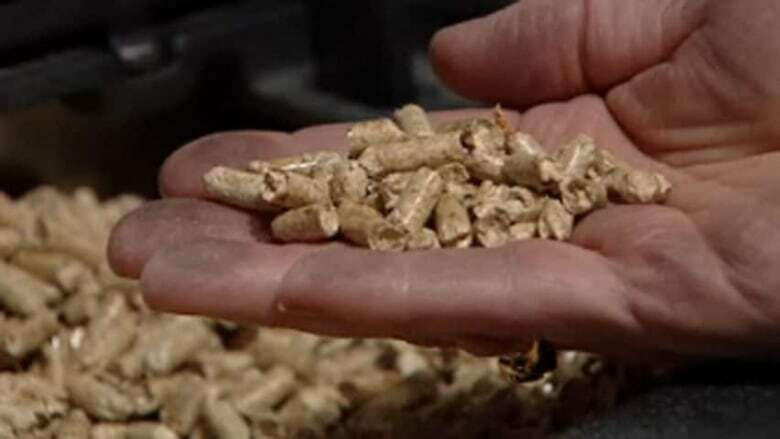 One of New Brunswick's largest producers of wood pellets plans to double production for the domestic market this year to address what's been described as a severe shortage. Jonathan Levesque says most people who use pellet stoves have burned up to 40 per cent more than usual this winter. Jonathan Levesque says Groupe Savoie, of Saint-Quentin, in the northwestern part of the province, is committed to growing and expanding the market. The company doubled production for the domestic market last year and plans an expansion this spring that will allow it to double production again, he said. Levesque says his company has an advantage of some of its competitors. "We're in a comfortable situation, as we produce almost all of our fibre ourselves from our own sawmills and operation. So that's something where some other pellet plants, they don't control their wood basket and that's becoming a challenge for some producers," he said. Earlier this week, a pellet stove salesman from Fredericton said the provincial government should step in to address the shortage, by ordering manufacturers to boost production. Levesque says the problem this year is largely due to the unusually cold weather, which has seen most people who use pellet stoves burn up to 40 per cent more than usual, as well as the recent closure of a factory in Quebec. But he says there's more waste wood available than is being used to make the low-cost, low-emission home-heating fuel. Customers can also help with the supply issues by changing their buying patterns, said Levesque. "We talk to a lot of our customers and try to encourage them to buy year-round and not just wait til September, October to buy pellets," he said. "We produce pellets seven day a /week 24/7 year-round. That's for our plant. I'm not saying every pellet producer is in the same situation, but most pellet plants, when the market is there and they can get their product out, would like to operate on a 12-month basis." Levesque says Groupe Savoie is also cutting down on its exports this month to make up for the local shortage. The company produced about 70,000 tonnes of wood pellets last year. About 65 per cent of that was for export to Europe. "We did shift some production on the domestic side and as an example, this month we're going to have to pay what's called dead freight because we're going to miss probably three quarters of the volume of that vessel," he said. The exports are to fuel power plants and they use a dirtier blend of pellet than Canadian homeowners, said Levesque.